A robot isn’t the worst thing I could have in the bathroom with me. It’s better than a small rodent or strange bug, for sure. However, I don’t really require the assistance of one while taking care of business. 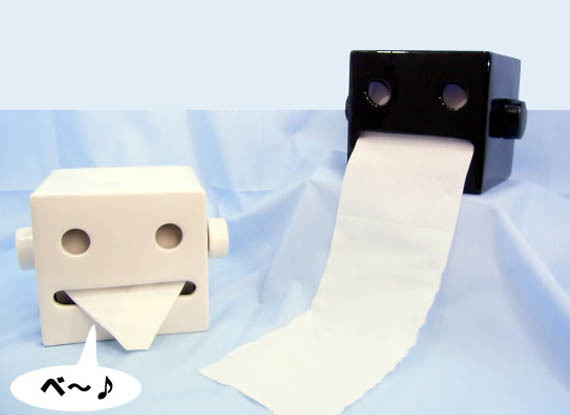 This one-of-a-kind robotan toilet paper holder carefully doles out TP as needed. Designed by Airyusha Japan, it’s made from heavy duty ceramic and done in vibrant colors. A roll of toilet paper (made from 100% environment safe recycled paper) is included so you can start using the potty with his help straight away.